We do not have much in the way of shopping in our closest town yet there is a little shoe shop that I have on my FB Page that allows me to window shop time to time on their current stock. I have had the great fortune to drop in at the right time and pick myself up a great deal or a random set of cute new shoes. Their merchandise is very quality and high end and as of recent I have started to see some styles that are more appealing to the Pin Up style such as Iron Fist. Again it would be love at first sight when “Good 2 Go” introduced me to the Harvey’s Seatbelt Purse. Wow I could not believe my luck when the images of these irresistible totes came to life on my screen my most favoured being a leopard print and a chequered print. I had not gotten into the shop to see them for myself personally; all the while I was thinking how purr-fect a purse made of seatbelts for a car culture loving girl. 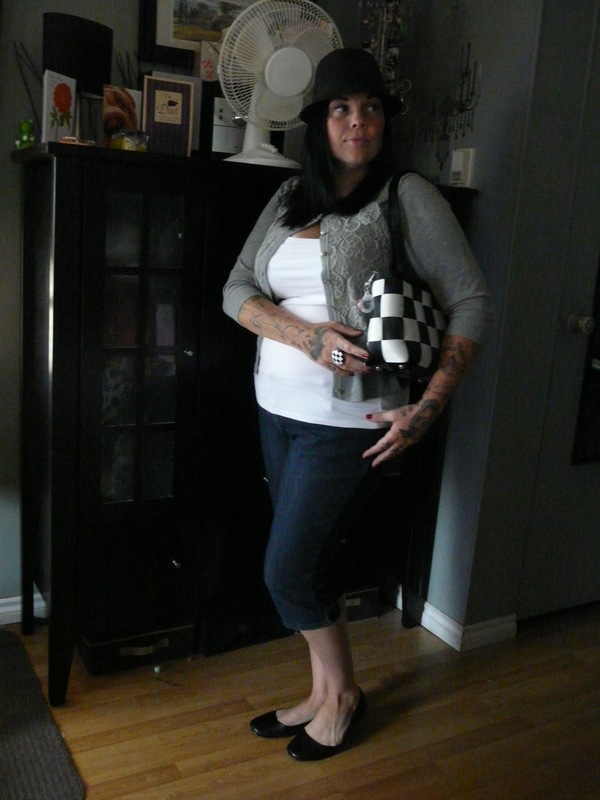 Before I had chance to get to town to see them I received the black and white chequered purse for my Birthday. I received this bag in August and it is now 6 months later the quality of this bag is exceptional and I have found I have deemed this bag my daily driver. As I watch my other collection of purses slowly with out cause do to wear and tear my Harvey’s keeps up to the job. When I went on the site I was kind of shocked to see how many styles of bags there were and I will for sure purchase another at some point. They are hardy and I appreciate this, as well as unique and distinct. I need to find a colour that I can wear with my dresses as my bag as awesome as it is, is really the stand alone piece, the show stopper when wearing an outfit. My consideration of my written word.